The British Prime Minister now finds herself in a difficult situation, as her Northern Irish coalition partners have threatened vital Brexit talks, creating a major obstacle to the UK's efforts to leave the European Union. This Monday, Theresa May was supposed to reach a vital agreement with the European leaders that "sufficient progress" had been made in Brexit talks, paving the way for the EU summit later this month. The summit, which is due to begin on 14th of December, would have become a crucial step in the ongoing Brexit negotiations, as it was supposed to allow Theresa May to begin long-sought trade talks with the EU. According to the BBC, the Conservatives, who worked intensely over the weekend to craft suitable proposals, were in an upbeat mood about the prospects of the deal. All of this, however, went sideways, when the Northern Irish Democratic Unionist Party (DUP) issued a televised statement, just as May was having lunch with European Commission President Jean-Claude Juncker, causing "all hell to break loose." In her statement, DUP leader Arlene Foster blasted the Government for allegedly including special provisions for Northern Ireland in the Brexit deal that Foster alleged were put there to guarantee the Republic of Ireland's support during the crucial EU summit. "We have been very clear. Northern Ireland must leave the EU on the same terms as the rest of the United Kingdom," Foster declared. The Northern Irish politician also stated that her party "will not accept any form of regulatory divergence which separates Northern Ireland economically or politically from the rest of the United Kingdom." 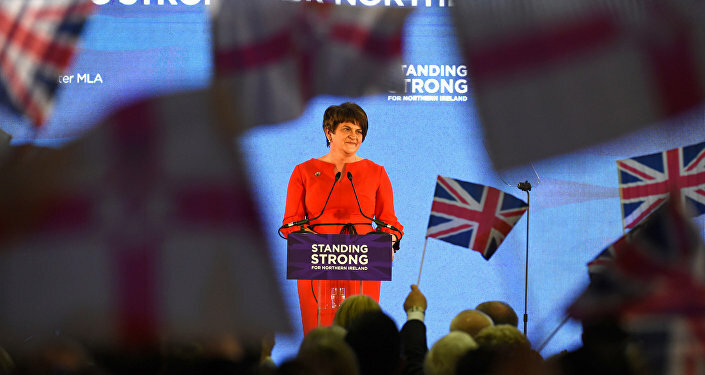 Despite its relatively small size, the DUP is a vital partner of May's Conservative Party in the British Parliament, where the two formed a coalition following Tories' disastrous performance in the 2017 elections, in which they failed to gain an outright majority. Consequently, when Foster declared that the DUP "will not stand for" the deal, Theresa May rushed off to make a phone call to her ally, leaving Juncker alone behind the table. 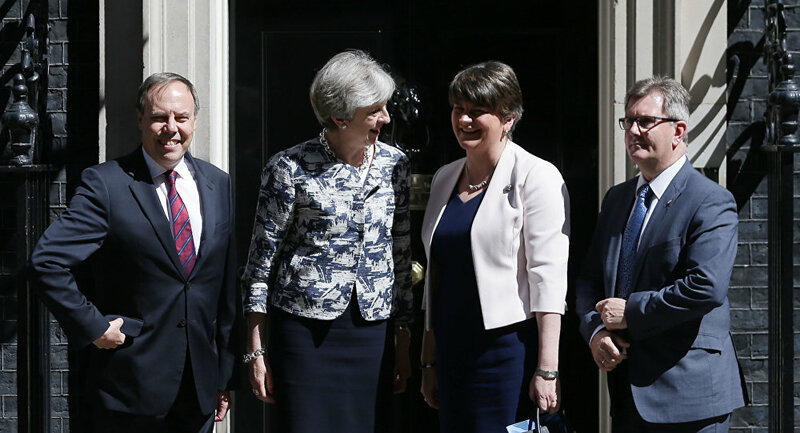 In a phone call that reportedly lasted some 20 minutes, the British PM sought to assure Foster that the deal does not constitute a threat to Northern Ireland's position within the UK. A senior EU diplomat indicated that Foster threatened to break up the parliamentary coalition, putting May's leadership in jeopardy if the agreement was to go forward, the Politico reports. The content of the deal that was leaking from both Dublin and Brussels reveals what exactly upset the DUP. The new proposals were to ensure that Northern Ireland would remain "aligned" with the Republic over most of the border-related issues, such as transport, energy and agriculture. In turn, Irish Prime Minister Leo Varadkar would not insist that Northern Ireland remain within the EU single market and customs union. The DUP's move, however, also derailed Varadkar's victory lap, as instead of celebrating Ireland's achievements in negotiations with the UK in front of the press, he told the reporters that he is "surprised and disappointed" that the deal collapsed. Following the debacle, May and Junker issued a joint press conference, where they put up a brave façade over the breakdown in talks. "We've been negotiating hard and a lot of progress has been made and on many of the issues there is a common understanding, and it's clear, crucially, that we want to move forward together," the British PM said. Junker returned the favor by stating that May is a "tough negotiator and not an easy one and she's defending the point of view of Britain with all the energy we know she has and I'm doing the same on the side of the EU." The British Government is now even more pressed to come up with the suitable solution to the looming crisis, as the EU summit deadline is ever closer. So 10 flat earther DUP MPs will now determine the course of Brexit. Is this what's meant by "the will of the people"? 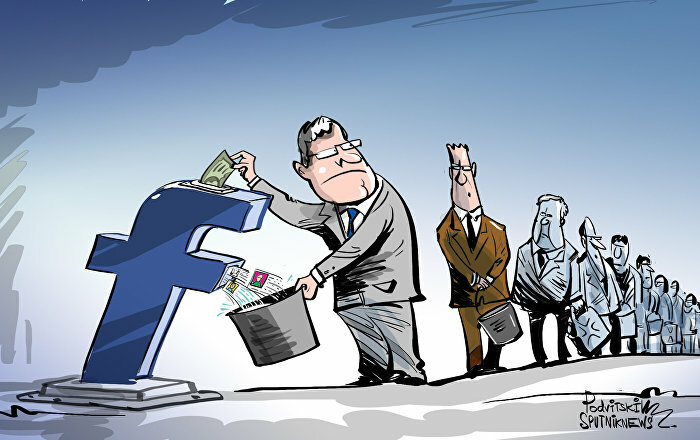 — ReformCampaign #FBPE (@reform_campaign) 5 декабря 2017 г. 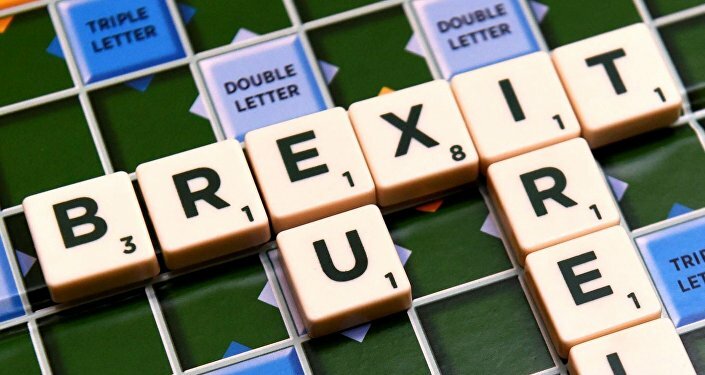 The UK voted to leave the European Union in June 2016, sparking a painful withdrawal process that plagued the ruling Conservative Party, which is in a hurry to take the country out of the Union by March 2019. The majority of voters in Northern Ireland, however, voted to remain in the EU, as trade between the region of the UK and the neighboring Republic of Ireland constitutes an integral component of its economy.